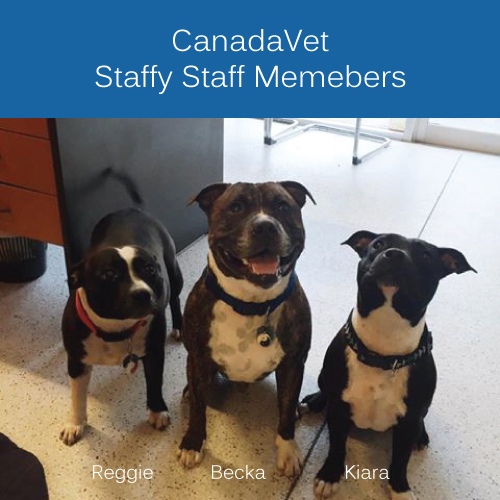 Here at CanadaVet, every day is bring your pet to work day. However, did you know there is an annual day recognized worldwide for bringing your pet to work? How cool! Take Your Dog to Work Day will take place this Friday the 24th of June 2016 in Canada and all around the world. A little history on how this day all came about, it was first celebrated in 1996 in the United Kingdom and became popular in the United States in 1999. Take Your Dog to Work Day not only lets pet owners celebrate the bond and companionship they share with their pets, but also brings greater awareness to adopting from local shelters and rescue groups. Studies have proved that bringing your dog, or cat to work can provide a number of physical and mental health benefits, increase activity and staff productiveness, and overall create a positive and fun work environment. To ensure your Take Your Dog to Work Day runs smoothly this Friday, learn our Top 5 Tips for Bringing Pets to Work. Ensure your pet is suitably trained and well socialised before bringing into work. Set aside time during the day for toilet breaks, however it’s recommended to also provide training pads to avoid accidents. Use positive reinforcement when your pet shows good behaviour, including whenever they do the toilet in the correct place. This will help reduce the likelihood of your pet playing up or toileting in the wrong area. Allow your pet some free time when you arrive in the morning. This will give them time to get to know their surroundings and say hello to other co-workers. Bring along your pet’s favourite blanket, bed, and toys to help them feel comfortable in the new environment. Keep these items by your desk to encourage your pet to stay by your side and avoid causing disruption to other workers. Click here for Five Fun Facts About Man's Best Friend.